To Those Unhappy with a President Trump: Welcome to Canada! - Canada Immigration and Visa Information. Canadian Immigration Services and Free Online Evaluation. Canada would like to extend an extra-special welcome to the ethnic, religious, and other groups that President Trump has advocated deporting from the United States: Muslims, Mexicans, black people and even those who look like Muslims. Canada has so many amenities to offer. Please consider our free health care! Though we must admit that a proposed President Trump advocates sweeping Obama Care revisions which sound appealing, Canada offers all of the usual vaccines which Trump plans to ban. 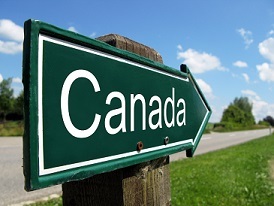 Once you get settled in your new country, we think you will find that Canada is not the backwoods place Americans sometimes make it out to be. We have many modern conveniences, like paint, and milk! We are so friendly we barely need locks on our doors. The locks are mainly to prevent our neighbors from coming over and doing chores for us overnight night. Sometimes it becomes a pain when you cannot find things in the morning where you left them. And, we have a beautiful national anthem. We are so excited you’re here! If you need anything, don’t hesitate to shout. Which of course, in Canada means inquire at a reasonable, considerate volume before we turn off the lights at 22:00.